Fix My Home Computer provides onsite computer repairs Macleay Island services to home computer users throughout many areas of Queensland, including Brisbane. In fact, we are one of the best on-site computer repairs Macleay Island providers, with a qualified and highly experienced computer technician available to fix most of your desktop and laptop problems. Whether it’s for banking, shopping, school homework, contacting friends and family, entertainment or even running your home business, your computer has become an essential tool for managing your busy life. You need your computer to be working at its best so you can get on with what you have to do. You can’t afford to have it freeze or refuse to start, run slowly, have annoying pop-ups and error messages appearing and you certainly can’t afford to lose data. When something goes wrong, you need someone who understands computers to fix your problem quickly. Fix My Home Computer uses a Microsoft certified technician, who has years of experience working for the biggest computer company in the world serving customers as a Help Desk operator. He understands how computers and devices work and understands the Windows platform to be able to troubleshoot and fix problems quickly – usually within an hour. Customers of Fix My Home Computer have given a five-star rating for excellence in customer service because of the personalised and reliable service, competitive pricing, and successful completion rate. – Onsite visits: our technician visits you in your own home at a time convenient for you including early morning, evening, weekends and public holidays. – Competitive rate: $99 for the first hour then charged in 15 minute blocks, with most problems fixed within the first hour. No Fix – No Fee! – Offsite computer repair service: For more serious computer repairs Macleay Island, Fix My Home Computer will run scans, diagnostics or complete repairs in our workshop, making use of a faster internet service and not taking up your valuable monthly allowance for any kind of software update downloads. We can agree on the charge rate before starting and keep you informed on every step of the repair process. Once resolved, we will return to your home to set up your system including ensuring critical activities like your internet connection, emails and printing are all working. You’ll receive a follow-up call within a few days to confirm that your workstation is working well. 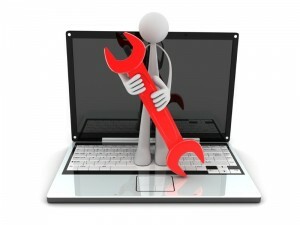 – Remote service: If your computer problem is straightforward and you don’t want a personal visit, we can offer you a remote computer repair service where we connect to your desktop or laptop computer through the internet. You can watch all the work happen on your own screen. The whole process is entirely safe and secure. 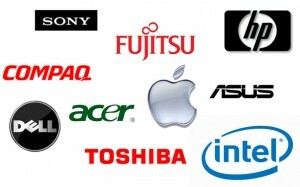 – Parts replacement: Any replacement components are charged at cost price – no mark-up. Call Fix My Home Computer now! If you have a small, niggling computer problem, or you have a more serious problem with your computer desktop, laptop or peripheral devices, call Fix My Home Computers for prompt, no-hassle computer repairs Brisbane or any of the surrounding suburbs. For computer servicing issues and laptop repairs Macleay Island, call 0410 659 349 to book an appointment.